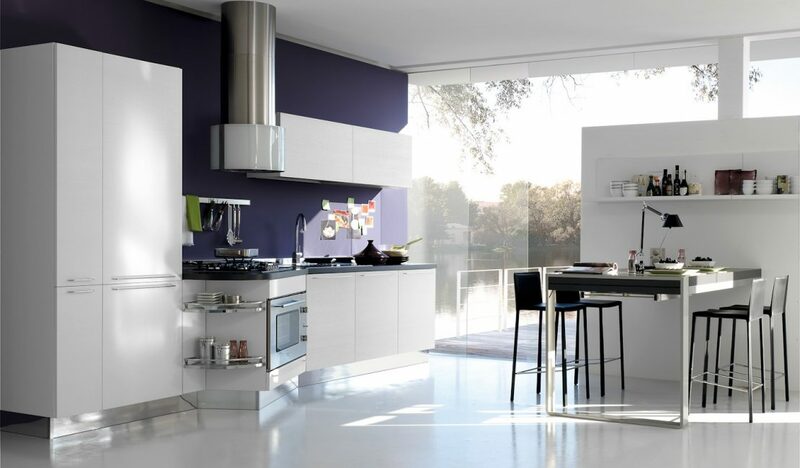 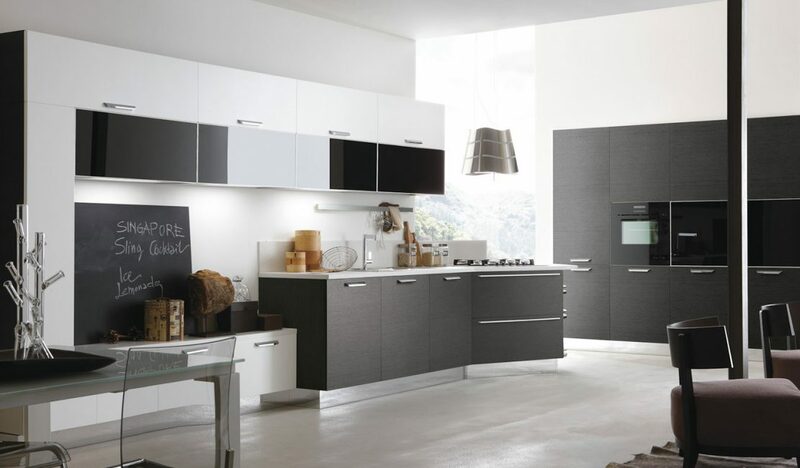 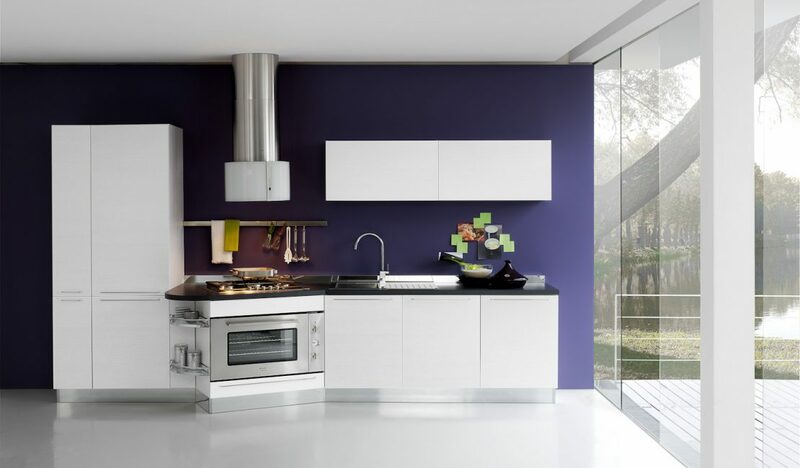 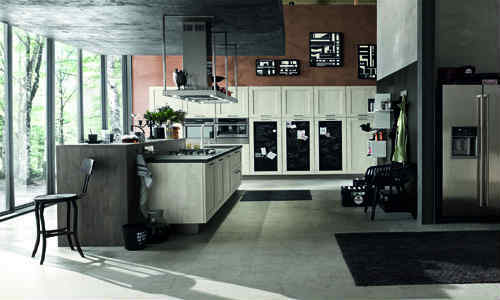 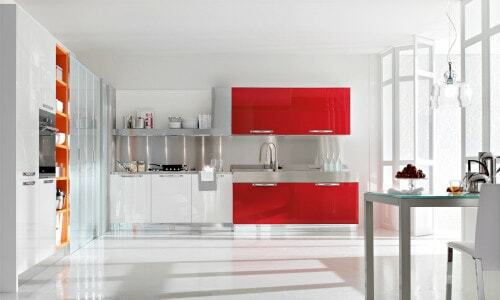 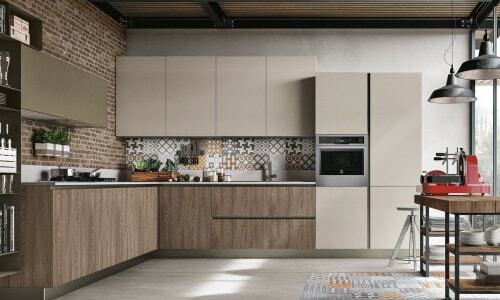 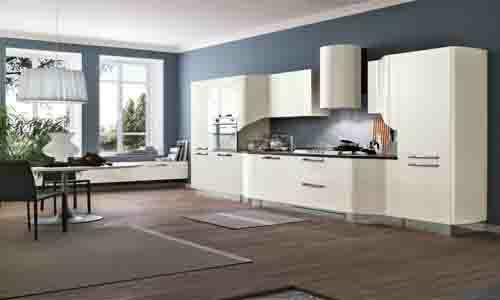 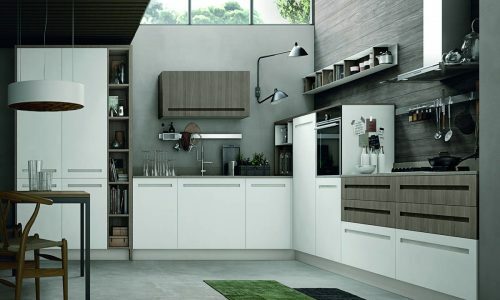 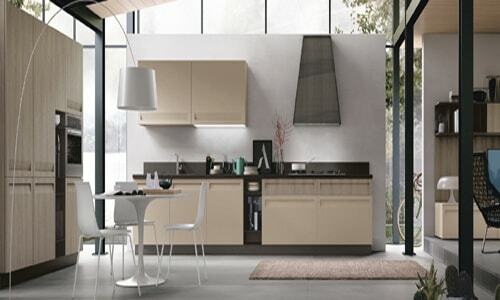 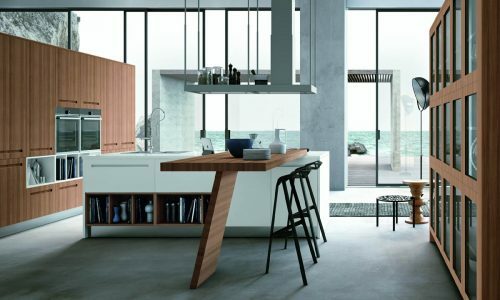 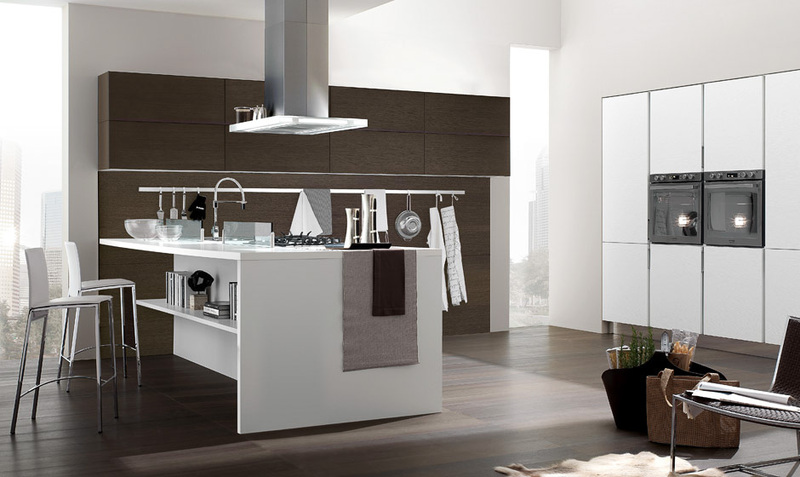 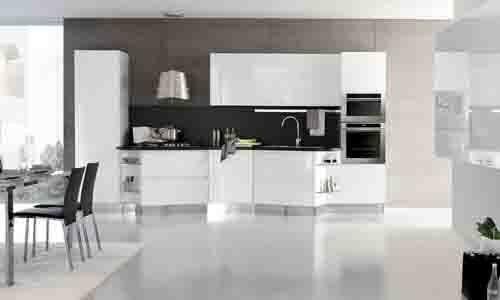 Modern kitchen Life is a model of the Look System programme with lots of ways of interpreting the kitchen. 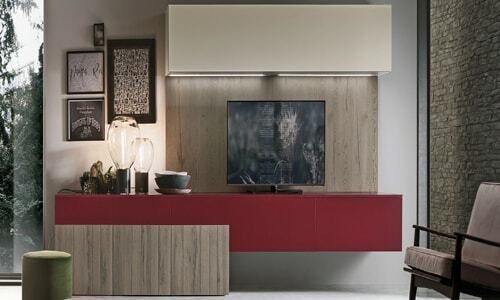 Veneered modules and doors in three brand-new wood finishes : earth oak, Santiago walnut and hawthorn. 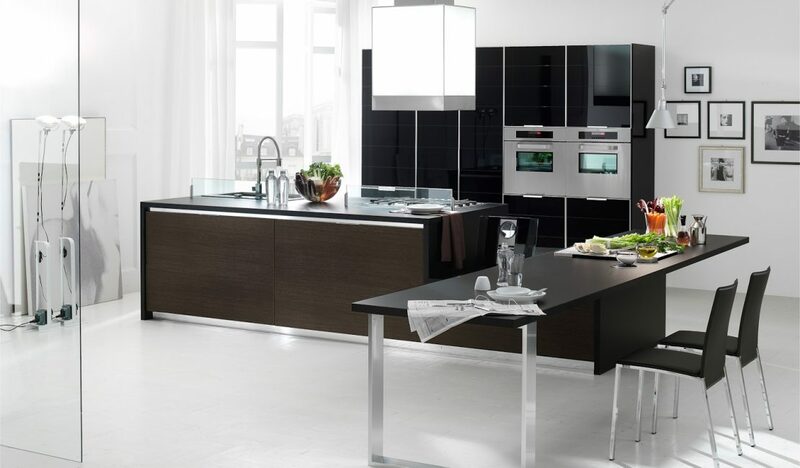 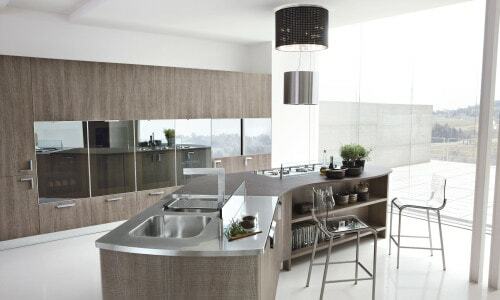 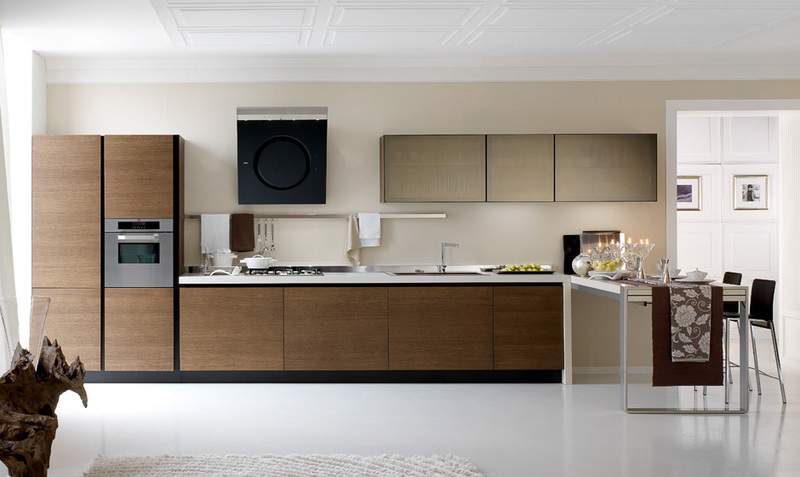 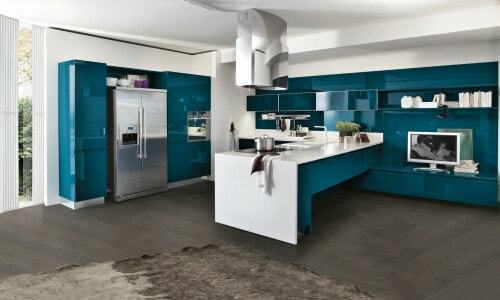 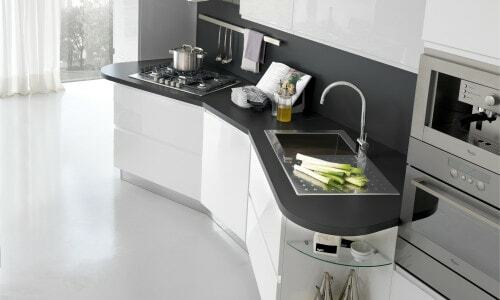 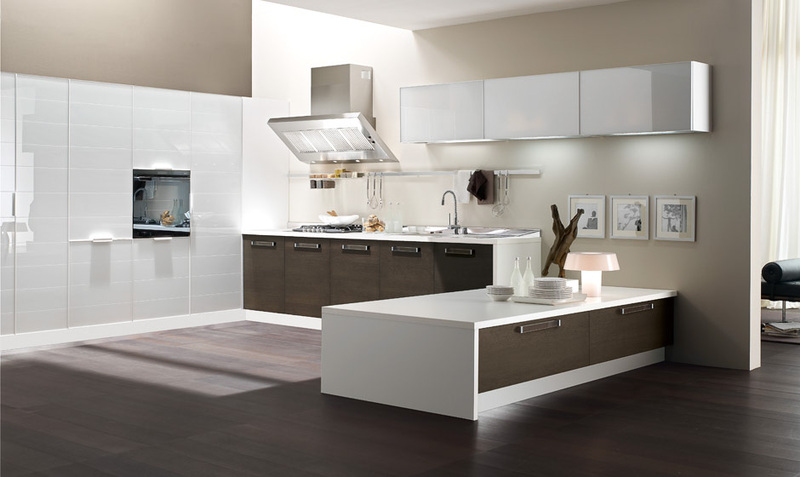 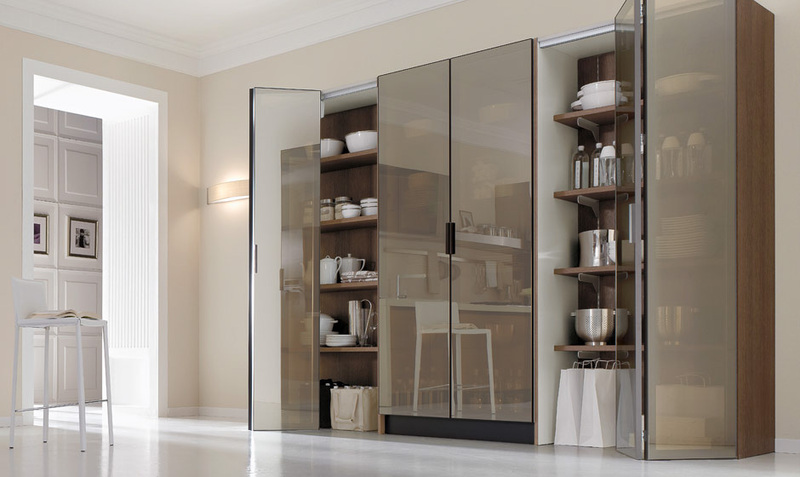 The Life kitchen can be integrated with the Gloria groove system. 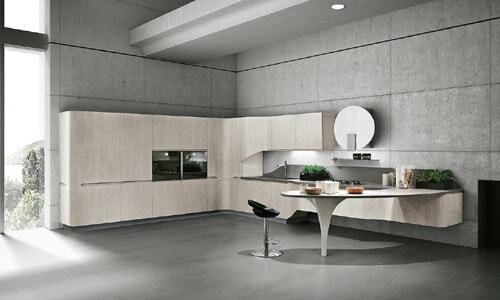 Composition with base units with Penta shaped element in anthracite open-pore finish, wall units and low base units with door in matt white lacquered.Column units in matt white open-pore finish. 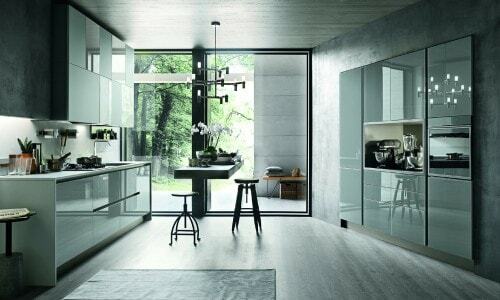 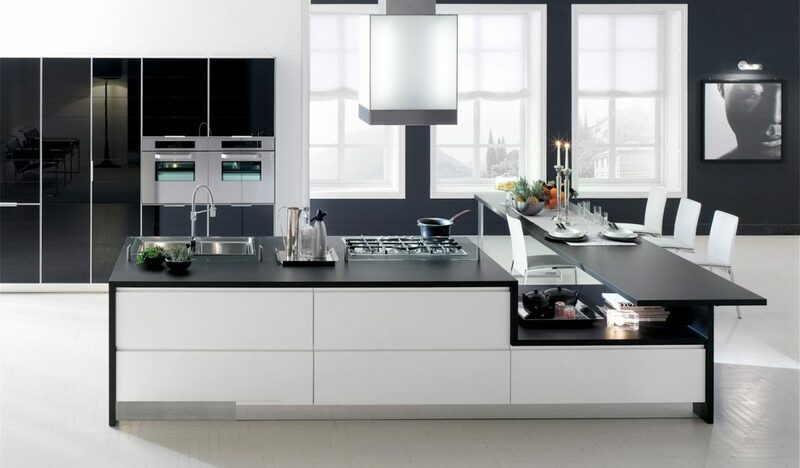 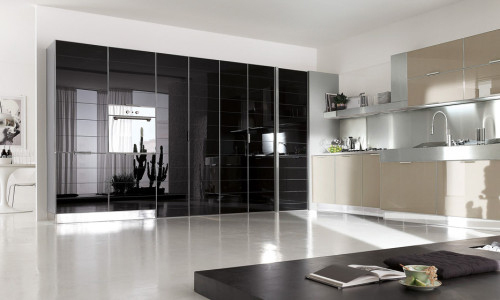 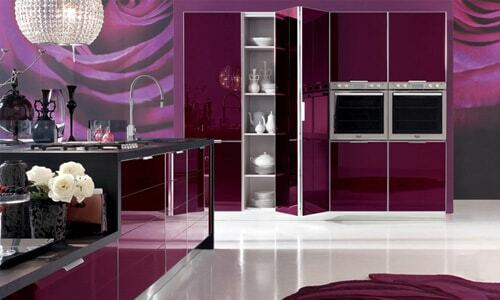 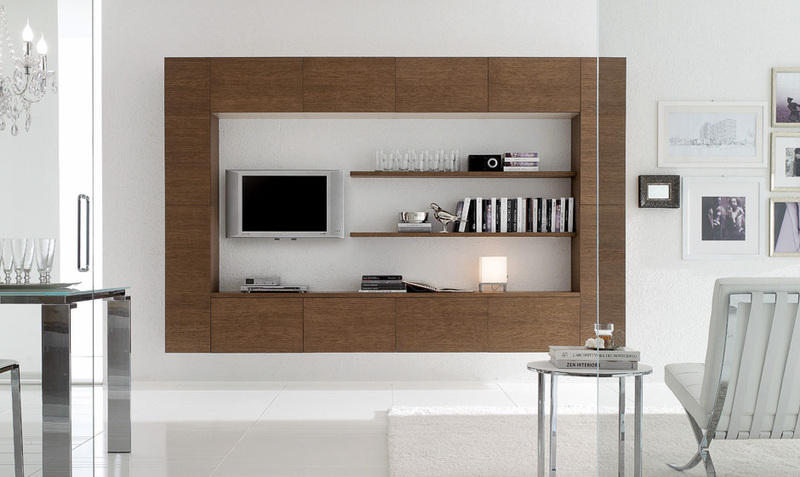 The doors in black glass, of the wall units and column units, have a brill aluminum frame. 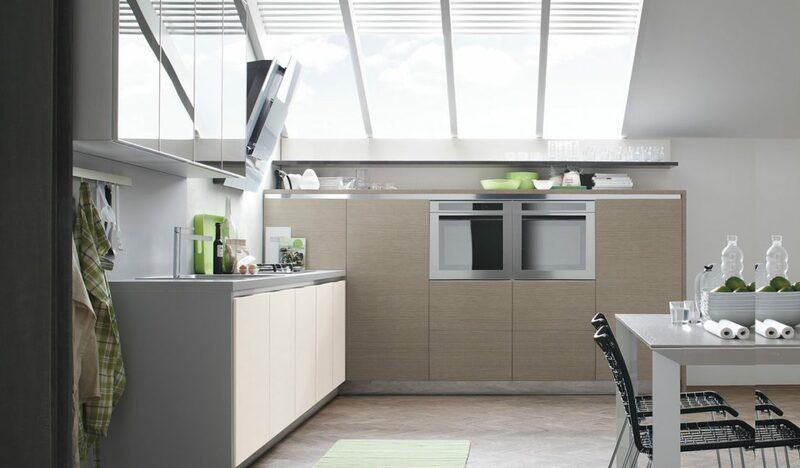 The snack top with ample opening creates ergonomic situations with a strong character. 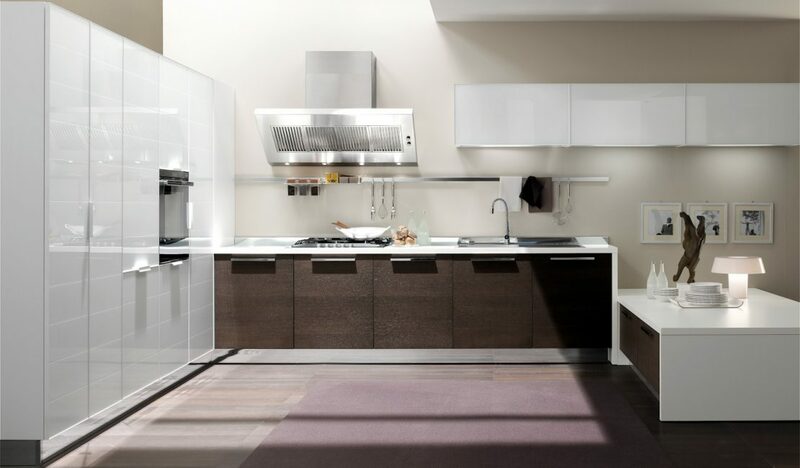 The wall units in stopsol glass with brown finish aluminum frame of the brilliant programme remain within the tradition while renewing the kitchen with skilful minimalist touches. 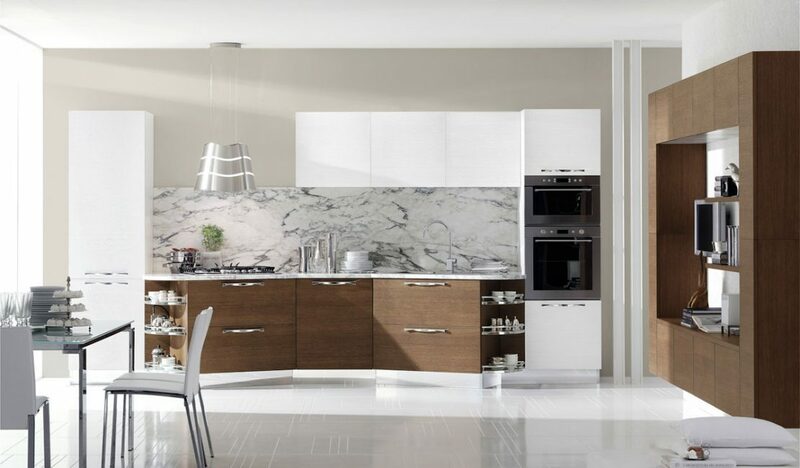 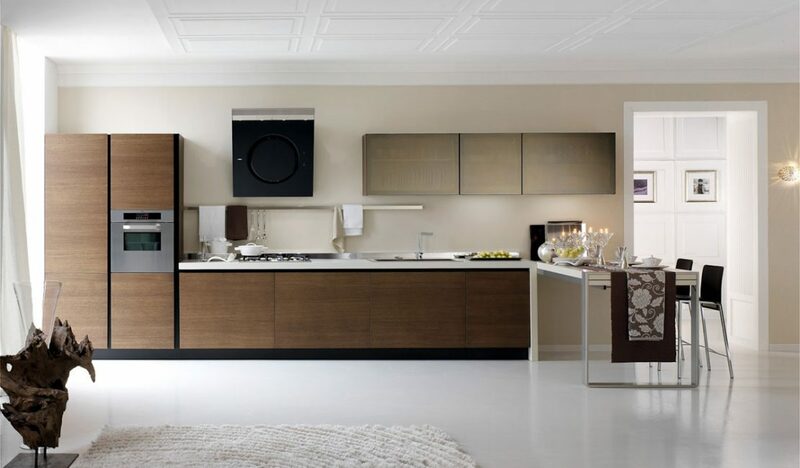 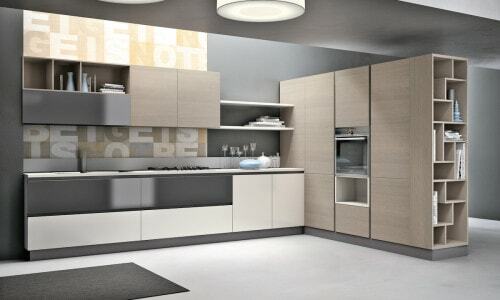 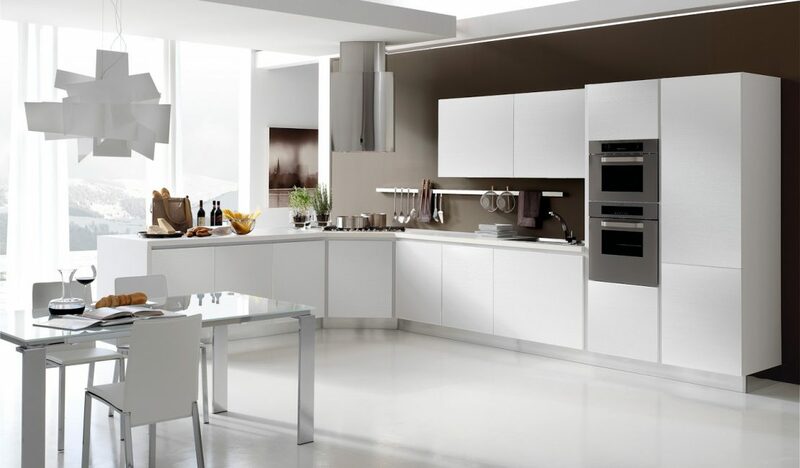 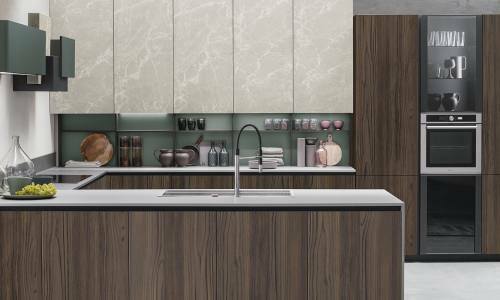 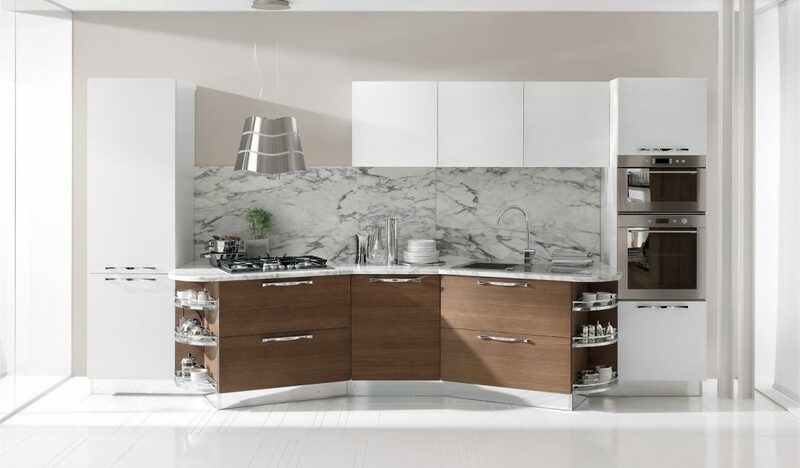 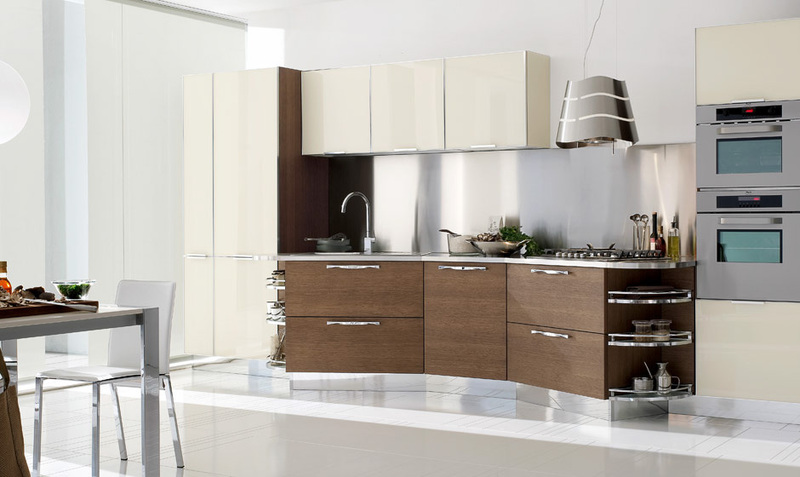 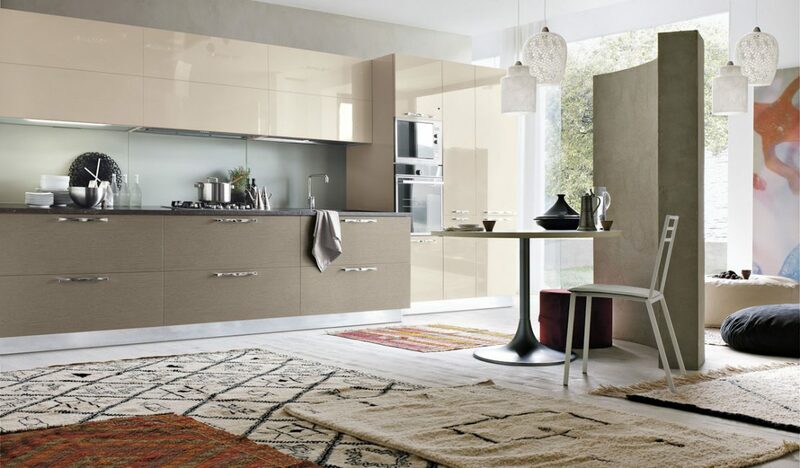 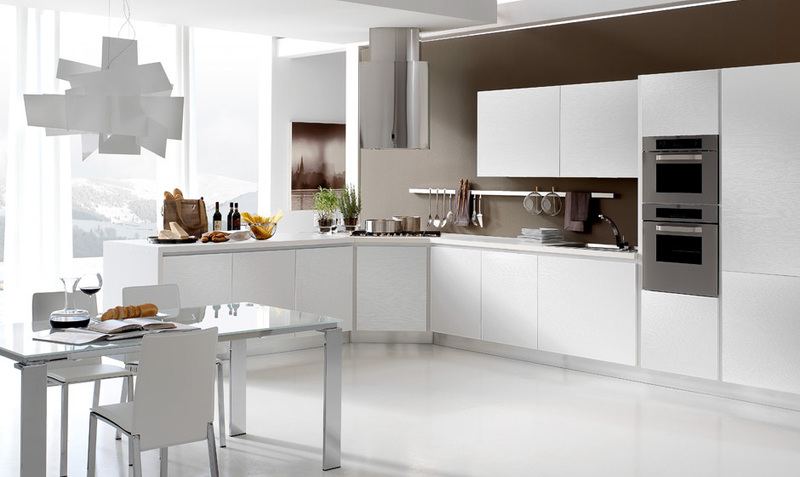 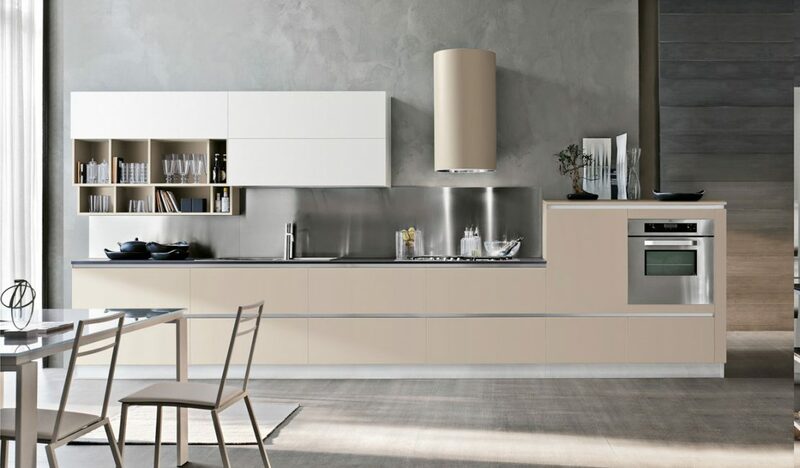 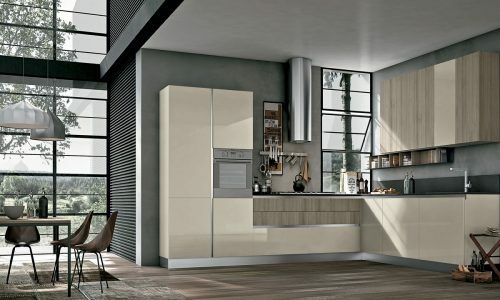 Base units with Santiago walnut veneered doors, with Fiocco handle in bright chrome finish, Wall units and pantry units with doors in cream color smooth glass and brill finish aluminum frame.